Resume templates can be such a helpful tool when you are looking to give your resume a little makeover. 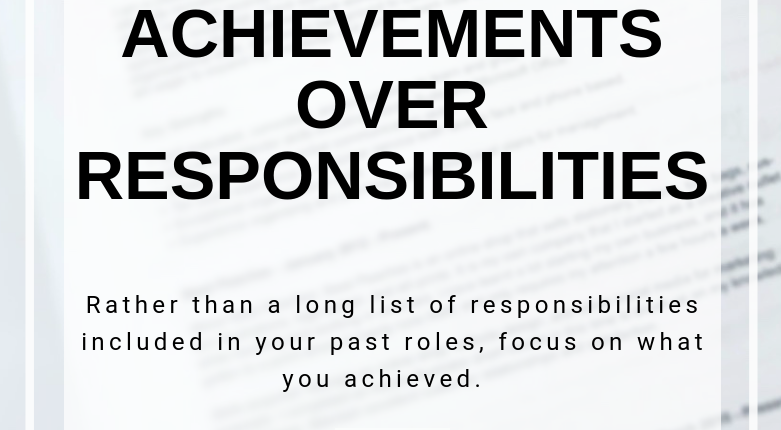 While they are great to help keep things nice and organised looking, you don’t need to follow them to a T. Most standard resume templates will have a space under each position for key responsibilities, while it is great to list what you were responsible for in each role, you should really be highlighting your achievements. Companies want to see how you contributed to the success of the company and how you will be an asset to their company. We suggest listing dot points with your responsibilities and making your achievements list even longer than your responsibilities. If you are looking for some extra eyes to help you in your job search, submit your resume here and one of our friendly consultants will be in touch when we have positions available that suit your background and experience. Visit our Resource Centre for more resume and job search tips.